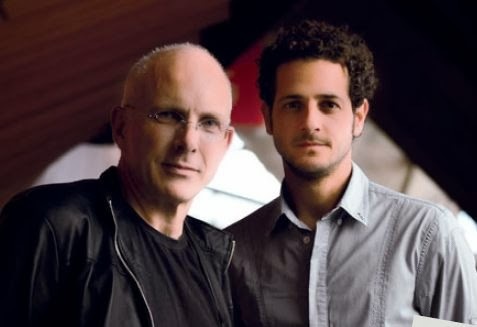 The pairing of the bittersweet vulnerability of indie-icon Lior with the colourful vitality of the music of composer Nigel Westlake seemed odd on paper. But, like some of the best jazz collaborations, the conversation between these vastly different musicians sparked a unique musical idea. What started as a small orchestral arrangement of an ancient Hebrew hymn grew into a seven-part song cycle reflecting on the noble human quality of compassion. Lior delved into his Middle Eastern heritage to collect Islamic and Jewish texts and Westlake, best known for his film scores to Babe and Miss Potter among others, created an orchestral soundtrack to Lior’s voice. Compassion – Symphony of Songs was performed by the WA Symphony Orchestra on Wednesday night alongside a set of Lior’s original songs arranged for orchestra and four-piece band. The pop songs were well-delivered but light-weight alongside the penetrating intensity of Compassion. Sim Shalom (Grant Peace) began with Lior’s impossibly high falsetto singing in Hebrew as slow orchestral chords rose and subsided in waves beneath him. It was like a beam of light streaming into a dusty synagogue. The audience sat transfixed. The song cycle continued with the percussion driven Eize Hu Chacham (Who is Wise?) with Westlake’s distinctive cross-rhythms adding an African and Balinese vibe and his colourful orchestrations putting flesh to Lior’s haunting melodies. Lior’s impressive vocal range (he also sang deep pedal notes for the chant Inna Rifqa) was coloured with eastern inflections, Katie-Noonan-esque slides and moments of operatic power. He performed the entire work, including sections of complex changing time signatures, from memory. Sadly the text of the songs wasn’t included in the program so the wisdom of the words was lost on most of us. The concluding Hymn of Compassion was delivered with a gentle pleading and as Lior’s last note faded the cello picked up the melody and wound the work to its conclusion. It was the perfect analogy for this collaboration, where two artists have become so musically connected they conclude each other’s sentences, and so self-effacing that it is the music that speaks loudest of all.